Jackets inspired from a science fiction crime film based on the book of the same name written by David Lagercrantz – one of the popular Swedish journalists and the best-selling author. Known for his internationally acclaimed literary work I am Zlatan Ibrahimovic, David also produced high-end crime fiction novels of the Millennium series initiated by Stieg Larsson. His famous works in this regard included The Girl in the Spider’s Web and The Girl Who Takes an Eye for an Eye. Astonishingly, the former has been ventured into a film directed by Fede Álvarez and written by Steven Knight, and right now we’re going to talk about it and the amazing merch it has pronounced in the movie. We’’’ move you with our absorbing line of attires time-honored with top quality leather sort outs. 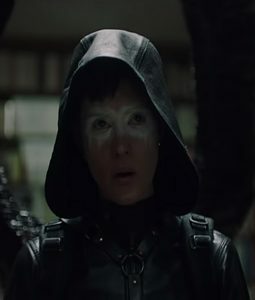 Right now, the sequel of David Flincher’s The Girl with The Dragon Tattoo has become one of the legitimate trends of some eye-catching ensembles the film has able to produce. Our diligent workers weave out their wits learnt streaks with nimble-fingered sewing corroborations. 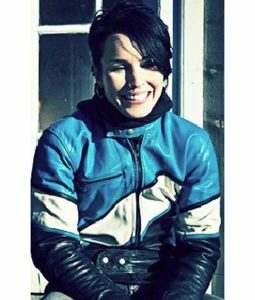 You’ll love this shop and we’ll always try our fullest to keep our on-screen vestment showcases up to date, and for that we’re also replicating the best scheme personify for Lisbeth Salander The Girl with The Dragon Tattoo Leather Jacket as well. 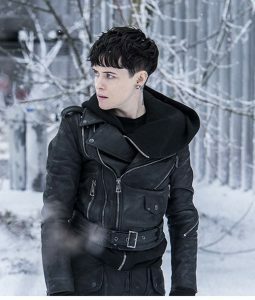 Also check our meticulously built intricacies of Claire Foy Girl in the Spider Web Biker Jacket and the supple sheepskin Lisbeth Salander Girl in the Spider Web Hooded Jacket. When it comes to sci-fi movies, the cinematic graphics complements to the refined genuineness of garments as well. The futuristic videography panoramas always have an eerie-elegant effect when it comes to topnotch jackets and coats being validated by characters in up to the minute forecast films.